Hardwood-conifer or mixed forest with bogs, marshes, woodland ponds, open meadows, or dry wooded hillsides. 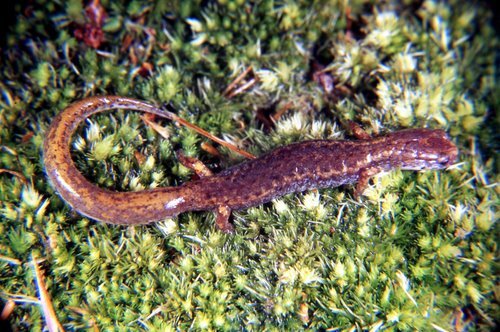 Moderately slender species. 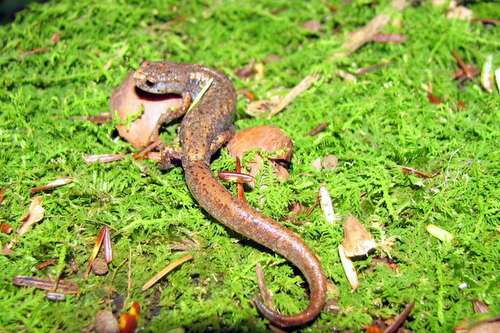 The top of the head and body is reddish brown and mottled with black markings along the back that extend onto the top of the tail. 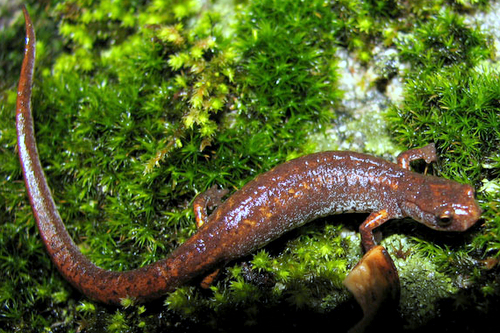 The upper surfaces of the limbs and tail are bright reddish orange. The limbs have brown maculations. The sides gradually become gray. 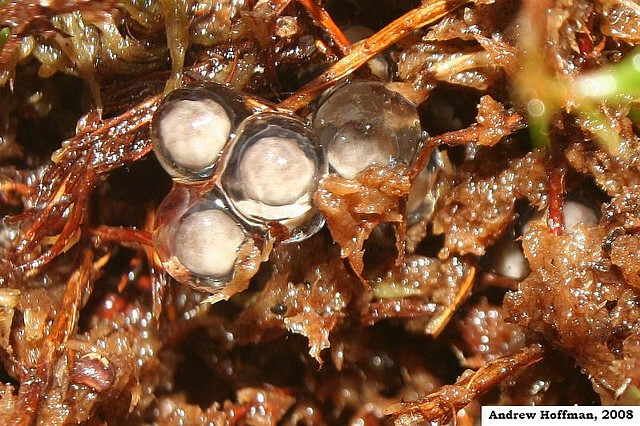 The underside is white with scattered irregular bold black blotches or spots. The feet have four toes. 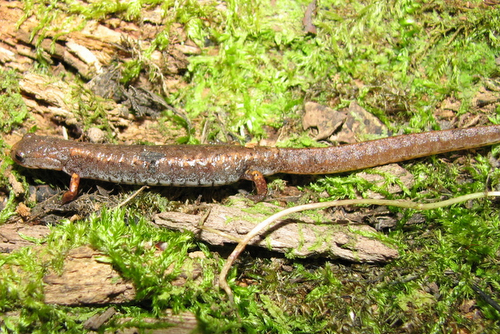 The dorsal color of the head and body is reddish brown and mottled with black markings along the back that extend onto the dorsal of the tail. 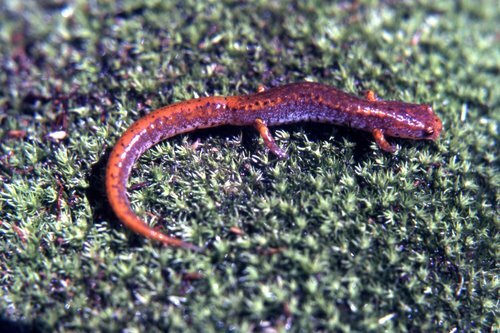 The upper surfaces of the limbs and tail are bright reddish orange. The limbs have brown maculatoins. The sides laterally become grey. 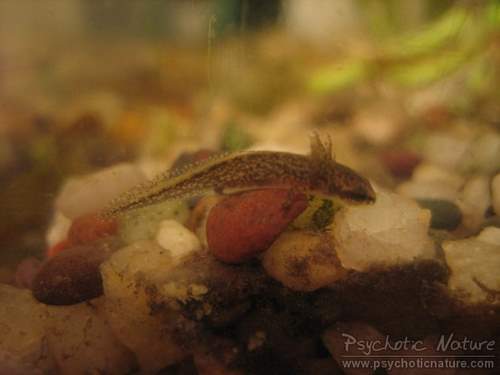 The ventral is white with scattered irregular bold black blotches or spots. The legs are long and slender. The feet have four toes. The head is somewhat flat. 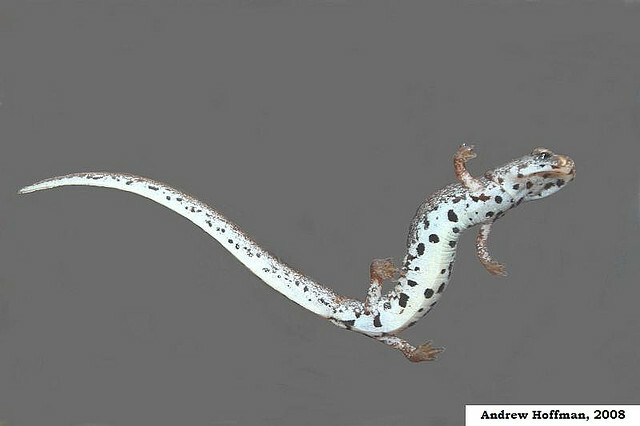 The tail is moderately long, oval in the cross-section with constriction around the base. Resemble adults but they have a shorter tails. The body is triangular in the cross-section. 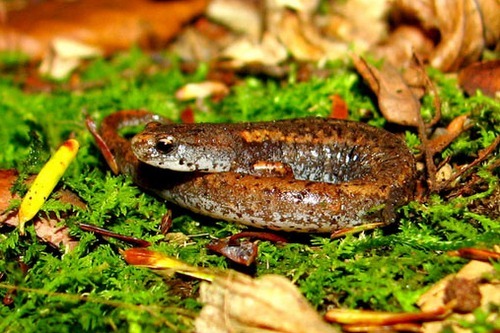 The dorsal is brownish grey and mottled with yellowish green. 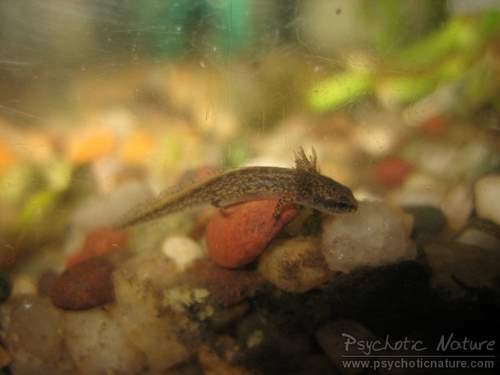 The dorsal fin extends nearly to the head dorsally and ventrally to the cloaca. The head is broad and short. 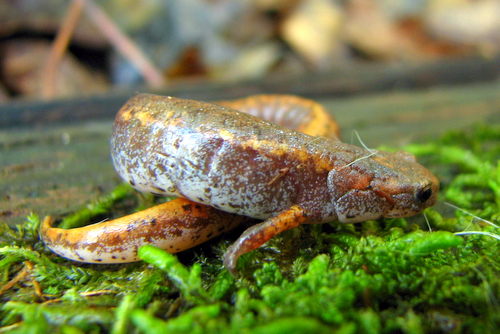 The front limbs are developed with four toes on each foot. The rear limbs only have toe buds. Hulse, C. and McCoy C. J. and Ellen Censky ,1998. 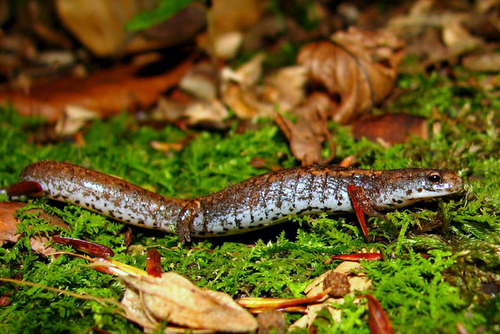 Amphibians and Reptiles of Pennsylvania and the Northeast. 96-100pp. Petranka, James W. ,1998. 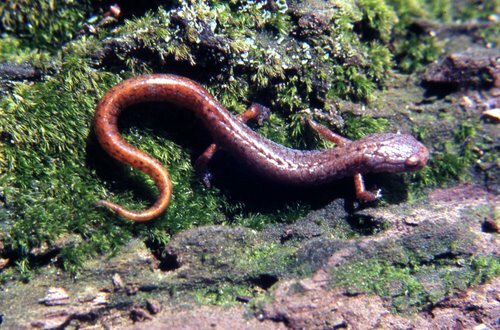 Salamanders of the United States and Canada. 290-295pp.